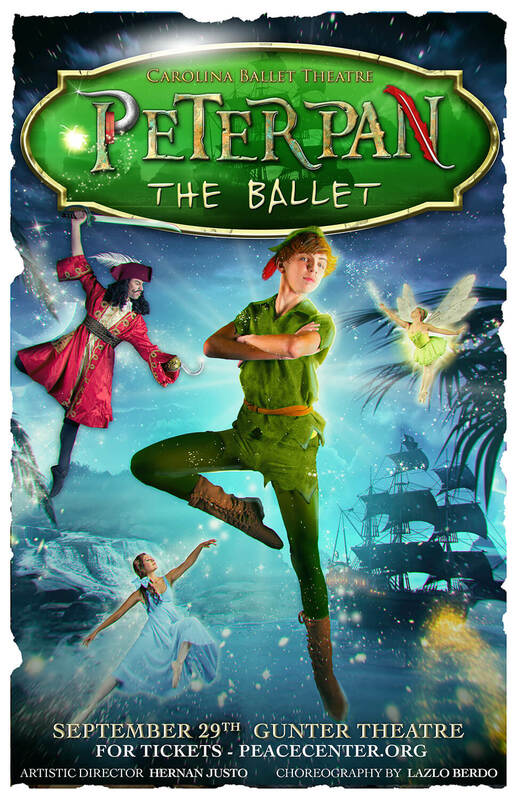 Peter Pan: The Ballet is a retelling of Sir James Barrie’s classic play about the boy who never grew up and the adventures that ensue. Sure to delight the young and young-at-heart, Peter Pan will land in Greenville for two full performances on the 29th. Directed by acclaimed choreographer Laszlo Berdo and featuring a special guest, be sure to clap your hands if you believe and think happy thoughts because time will certainly stop for this performance. Rehearsals begin August 27th and continue every weekend until show time. The 2018 CBT performance for Peter Pan has a No Absence Rehearsal policy. Please keep in mind potential church performances, sporting events and other activities that may conflict with the schedule.